Advanced Colour City is the most trustworthy residential house painting services in Wahroonga, because we offer top quality painting services for the most honest prices. We take care of living rooms, kitchens, bathrooms, and all other rooms in your homes along with the compete exterior works. 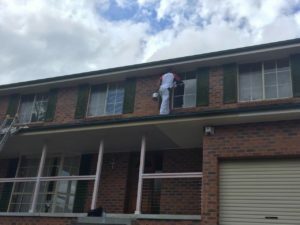 When it comes to choosing residential exterior home painters in Wahroonga, we have always been the first choice for homeowners in the region. Our painters take special care to ensure that each part of your home walls is well protected from all weather conditions. Our expert painting consultants will also help you in making the right paints choices that will go well with your preferences and tastes. We always use paints of high quality with best waterproofing and thermal insulation properties. Call us today for any kind of residential interior and exterior painting services. We ensure you that you will be truly impressed with the work standards that we maintain.